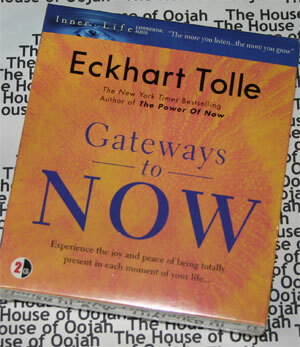 In this original audiobook, bestselling author Eckhart Tolle continues to teach us how to let go of the past and future to live in the now. Tolle urges to shed our mind-based sense of self, enter the portals of the eternal present, and live vividly in the present moment. Gateways to Now includes a Musical Reflection CD which offers quiet contemplation time -- a chance to acquire a reflective anchor that intensifies the integration of the listening experience into our lives. This Musical Reflection CD features Resonance by Jorge Alfano's World Ensemble. Drawing from South America, Africa, Tibet, Japan and Spain this ensemble creates universal music that crosses all borders and musical styles. Achieving success is just about obtaining all that you planned to have. It's discovering that you have carried out your goals or accomplished your plans and it's waking up in the morning looking victorious rather than becoming defeated.The emotions and thoughts success brings will make you wander with pride in the roads with confidence while being happy and comfortable. Contrary to most common beliefs, there are no successful or unsuccessful men and women but alternatively there are individuals who have the potential to succeed and who do things that helps them understand this potential and there are people today with the same possibilities who won't do those things.The only thing you need to do to be a success is to do precisely what highly effective people did. When you go through and through all of the information you will gain the outlook of a successful man or woman and this will help you get to financial success. If you genuinely want to be a success then you should have a reliable comprehension of selected models that can reduce your future and that can make you unsuccessful. If you don't have goals or strategies then you are really going to be a fraction of other some people's programs. If you do not program to be the boss at your work then an individual else in your staff will do so and if you don't prepare to get that high paying job then somebody else who planned and strived for it will take it from you. If you do not organize you will get swept away by the men and women who do.